It’s easy to get lost in the rush of everyday obligations and to-do lists. But finding balance amidst the craziness is necessary for our sanity. Thank you to Lindt chocolate for helping me to share this post with you. 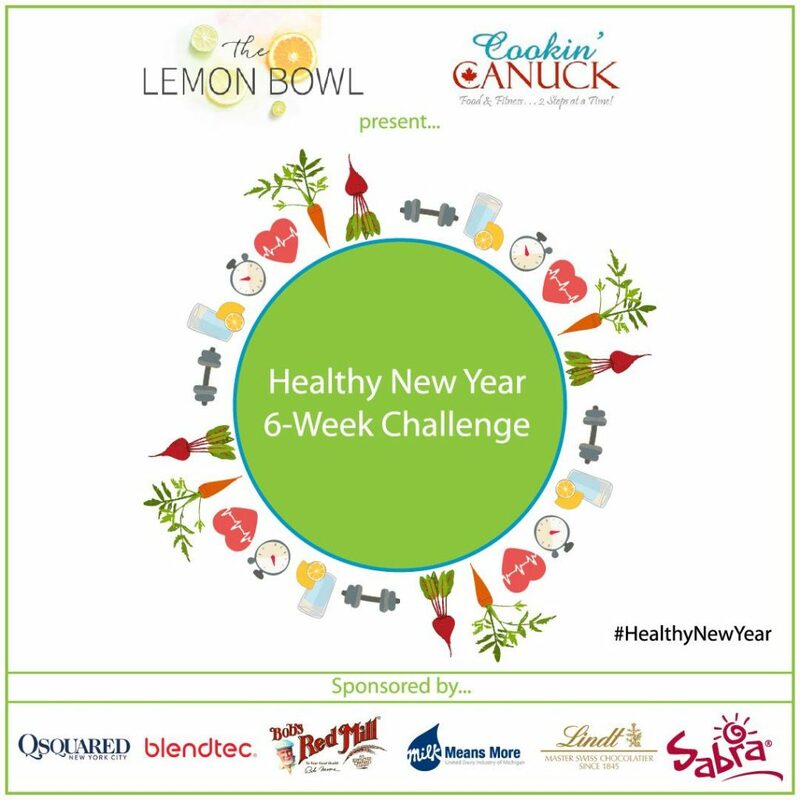 The last five weeks have been a whirlwind of happy activity surrounding the #HealthyNewYear challenge that I’ve been hosting with Liz. If you’re just jumping on board, be sure to join our challenge Facebook group. And since this is our last week of the challenge, we have an amazing giveaway for you (scroll down for more details). After focusing on five different challenges…hydration, exercise, portion control, adding whole grains and boosting protein…we wanted to take a step back and put the spotlight on something that tends to get lost when we’re adding in exercise and changing our eating habits. This week’s challenge is all about Finding Balance. With two boys, a husband, a full-time job and various other responsibilities, finding balance is something I struggle with on a daily basis. While there are so many joys and rewards that come with family activities and work, sometimes I just need some “me” time. Balance means different things for different people, but for me it’s about having time to do something for myself and lowering my personal expectations occasionally. We can be our own worst critics and each day I strive to give myself a break here and there. Even though it can be a chore to get out of bed at 5am, finishing a run by 6:30am allows me to do something for myself before the demands of the day start piling on. 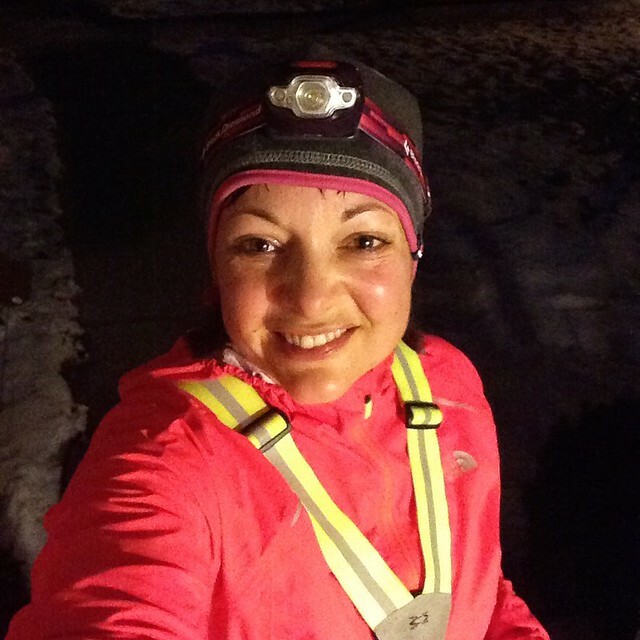 On my runs, I get to catch up with my friend, work up a good sweat and breathe some fresh air…all before the birds start chirping. I’ve learned the hard way that if I mandate a “No chips, no chocolate, no treats of any kind” policy, I’ll have a personal rebellion on my hands. There has to be a little food fun once in awhile, right? But there’s a trick. I need the good stuff…the best salt and vinegar chips I can find and the best, high-quality chocolate. 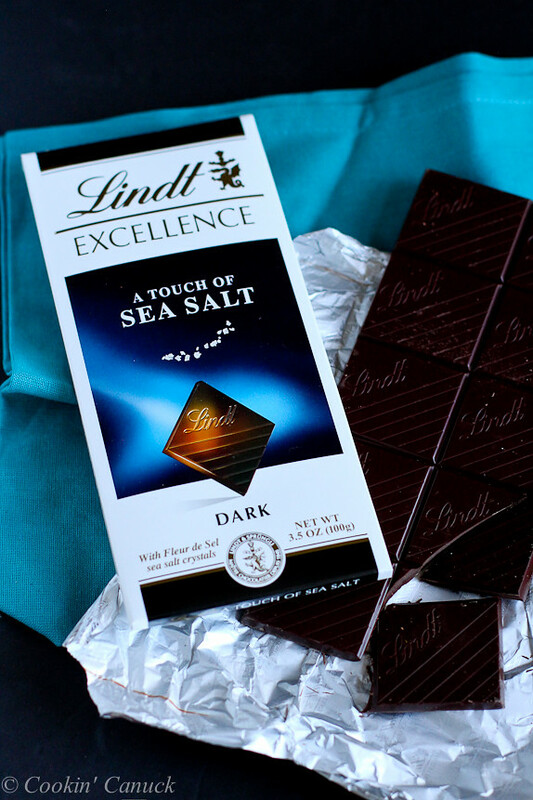 Have you ever had Lindt EXCELLENCE with a Touch of Sea Salt Dark Chocolate or the LINDOR truffles (when that smooth center starts to melt, so will you…I promise!)? Holy heck…if you haven’t tasted them, get yourself to the store right away. One square of really good chocolate or one truffle in the evening is often all I need to feel satisfied, as long as I eat it slowly and really savor the rich, creamy flavor. Dang, now I’m craving chocolate. Putting on my pjs and climbing into bed with a good book right after my boys go to bed is something I’ve been doing more and more. And let me tell you – it’s heavenly! Escaping into a story, rather than working at the computer, allows my brain to relax, which leads to a better night’s sleep and an escape from the reality of my to-do list. 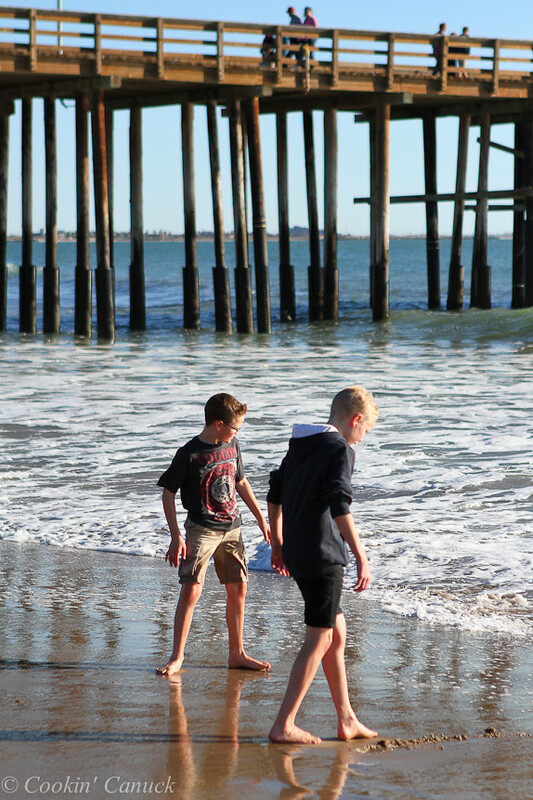 The older my boys get, the more poignantly aware I am of the moments that my husband and I have with them, as well with our other family members and friends. I find myself trying to capture snapshots in my memory – sights, smells, sounds – to be stored away for years to come. It’s so easy to get lost in the rush of the passing days and to forget to slow down and really enjoy the moments that we have together. This is one of those “easier said than done” scenarios. My mind thinks that I should be able to be the most understanding, the best wife, the most prolific blogger and the most efficient housekeeper everyday. Yeah, not going to happen. In fact, it really never happens. And I have to be okay with that. Cutting myself a little slack and realizing that I’m human stops me from losing a piece of my sanity. So, what do you to achieve balance in your life? Does it involve some self-enforced quiet time, a little treat at the end of the day or time with friends? Let’s hear your ideas! Be sure to head to Liz’s post on Living by the 80/20 Rule! Disclosure: This post is sponsored by Lindt Chocolate. The giveaway is sponsored by Lindt Chocolate, Sabra Dipping Co., Bob’s Red Mill, Blendtec, QSquared NYC and United Dairy Industry of Michigan. All opinions are my own. I can’t even tell you how much I needed this post! Balance is something I struggle with daily. The tip about enjoying the small moments really hit home. And I think I need to end my day with one of those Lindor truffles. I’m so glad that this came at the right time for you, Kim! Balance is definitely a challenge, but hopefully taking things one step at a time can make it easier. And yes to the Lindor truffles! When I start to really work out and eat right…..that’s when I feel like everything falls down around me. Sometimes I feel like I’ve either got to be “Healthy with work outs and good food ONLY” or I’ve got to live my life and I’d hard for me to combine them and balance everything. I get it, Angie! My one piece of advice would be to make small changes, rather than trying to change everything at once. It always seems so much easier to make changes when they’re added in gradually, giving our minds and bodies time to adjust. You can do it! I can never seem to fit in my exercise in the morning, but I always feel great when I get in a workout right after work. Crawling into bed with a good book is one of my joys, too! Great giveaway! Whatever works, right? I have several friends who love their afternoon workouts, while I am definitely a morning exercise person (otherwise it’s not going to happen). I can’t wait to crawl into bed tonight with my book! Such a great, inspiring post! With all of the demands of family, blogging, work, etc – it’s sometimes so hard to take time for ourselves. Thanks for such a great series and giveaway! I’m so glad you found the series useful, Martha! And yes, taking time for ourselves is so important and we need to learn not to feel guilty about doing it (talking myself into that). I love this, Dara! It is so important to remember balance in our lives, but we all need reminding some times. And I agree – we deserve a bit of great chocolate from time to time! Such a great post! I love that you read every night before bed. I used to do that before kids….I’d love to get back to it! Thanks, Stephanie. There were a few years when my kids were really little that I didn’t crack open a single book. I’m so glad to be back in the habit of reading. It really is a joy! good post and trying to fit time in the morning is way too hard with droping kids off at school now. I get it, Christopher! I drop my kids off in the mornings, too. The only way I can do it is by getting up earlier than I used to, so that I can fit in a run, while leaving time afterwards for getting the kids ready and dropping them off. It took awhile to figure out the routine, but I think I finally have it down. Good tip on reading right before bed – I have actually just started doing that and it really does help! So true, Ashley! It’s such a great way to calm you mind. Balance is such a great topic for the final week of the challenge. It is perhaps more of a challenge than all of the other issues we’ve dealt with. One thing I’ve done is to come to terms with the fact that the eating plan we’ve been on for the last 3+ years is not serving me as well as I like. So I’ve made some changes to the frequency with which I’m eating, and taken off the major pressure of trying to get meals fixed by a certain time. I think that by making that change, while still following other guidelines, has been a way to achieve balance between what is good about the plan and what I need personally. So far it’s working well. Susan, that’s so great that you’ve made changes to fit your life and to achieve balance. Each person’s situation is so different from the next and it really does take some trial and error to figure out what works best. I am so proud of you for being able to focus on your health and balance of life like this! I need to take your advice and get working on myself this year. Marsha, both Liz and I are so happy that you joined us in the challenge and were such an active participant. Having a free day is a wonderful way to achieve that balance. And you hit the nail on the head…healthy living is for a lifetime! 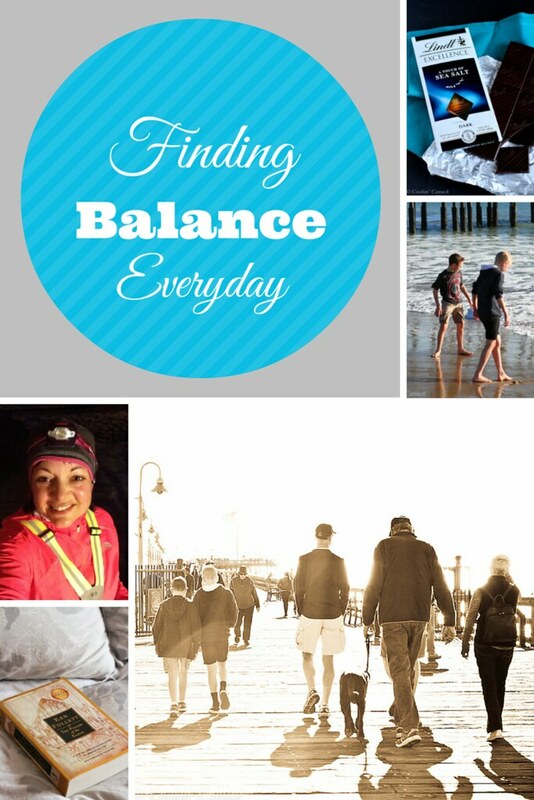 I love all the ways you’ve listed to find balance in your life. My favorite is “forgive yourself” as well as “enjoy the small moments.” These are both areas that I need to be more mindful of. Nice post, Dara. Great chocolate! Thank you, Renee. Those are the two that I have to really work on each day, but that bring the most satisfying results. And yes…great chocolate is always a good thing! I love this! Balance is so incredibly important to a heatlhy life, and it’s something that I’m always struggling with. “Me time” is an important one for me, as well. Thank you, Heather. That “me” time really is so important. Just a few minutes of quiet here and there are all I need to rest my mind. I so admire you for waking up at 5AM to workout – you are such an inspiration!! And that photo of your boys pulls on my heart strings. We just enrolled my oldest for preschool today. It’s going to fly, I just know it. I and balance have YET to meet! I have a 2 year old and a 5 year old… they kinda took over my life. 😉 This is all such great advice, Dara. In my opinion finding balance in your life is the most important part of starting a healthy life. I really need to start going to be earlier and changing my work hours. I work just until I got to bed and I know that’s not good! This post was perfectly timed, just what I needed as I already hit a slump in my quest to “have it all.” I’m trying to balance everything and then I get caught up in work which just snowballs into work all day, work all night…with no end in sight. Thank you for reminding me to take time to enjoy the little things. Great post! The last two especially. 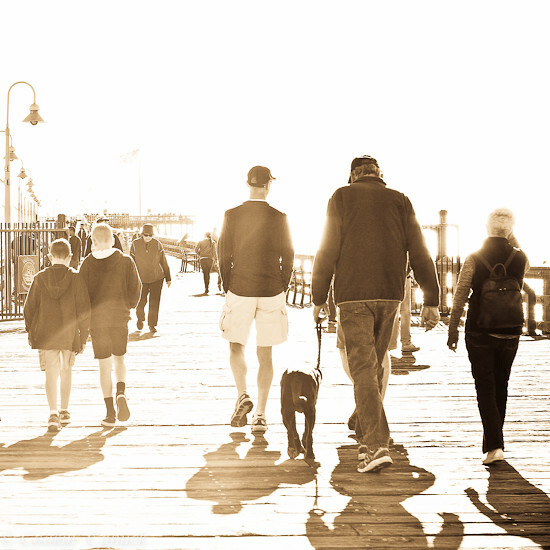 I am doing my best to live in the moments…the small moments with my children, they are growing up way to fast! 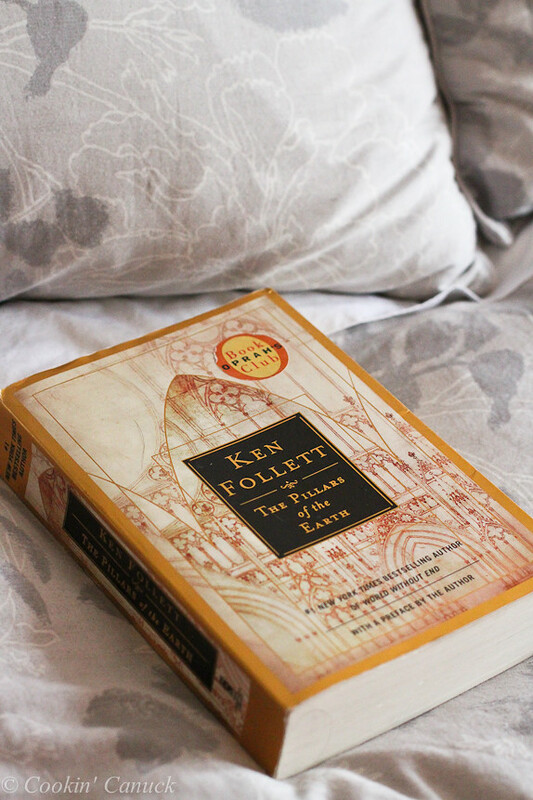 I love going to bed early with a good book! It feels so indulgent to be in bed before 9pm, but really it’s just taking care of myself! Thanks for co-hosting the giveaway!